Coming Back From The Edge (Revised frequently.) . A friend o f mine and I were commenting to each other about a mutual acquaintance. I said that he seemed to be an unusually deep person, someone who had figured out a lot about life. We all know those people who seem to have it all together. If not all together, then a whole lot together. 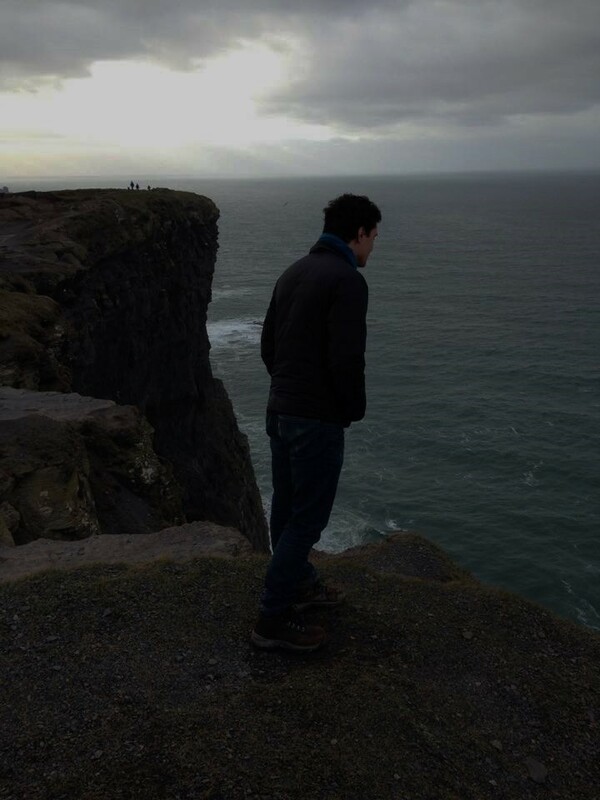 She commented, “You know, he has been to the edge of the abyss.” I didn’t know. In fact, I still don’t know exactly what she was talking about. But I did steal her phrase. There seems to be an abyss out there and humans seem to regularly travel towards the edge. Not always right up to it, perhaps. But they do move in that direction. Sometimes, the abyss seems to seek us. Some people will be living a seemingly charmed life when the worst things come calling. Sometimes the bad results are self inflicted. Sometimes not. Sometimes a person may be doing all the right things and all of a sudden some people decide to nail them on to a cross and hang them up for public view and humiliation. We know this. I have become more aware that there are also people who seem to be born close to the edge. Their are not always good odds for people who are abused, neglected, or who suffer one tragedy after the other early in life. And, sadly, some folks actually do go over the edge in a seemingly irrevocable way. They are either defeated or otherwise separated from the life they could be living. This essay is about those who return. These people survive challenges that seem worthy excuses for giving up on life. Those who make it back react differently than those who are permanently derailed. Often, derailment just seems permanent. At some point the decision must be made to resist the strong winds that blow us back. Napoleon Hill says, “Remember that the “Kite” of Success generally rises AGAINST the wind of Adversity – not with it!” (Just a quick reminder that The Happy Rock Way allows you to define “success.”) If you are going to try defying gravity (I love that song) you are going to face the storms and be lifted instead of holding on and being battered. Or letting go and being swept away. This is a pillar of The Happy Rock Way. When the storm is challenged and beaten the rewards and satisfaction are great. The growth can be astronomical. It is earned, however. This is not a comfy cozy method of growth. The eventual calm at the eye of the hurricane is worth the price. But if one escapes into substance abuse or other forms of escape from life we experience the pain without any gain. There is more about how this process works here. Please have a look if you are still in a cycle of despair. As I write this, I have had some occasion to be in touch with a couple of people lately who appear to be getting it back together. This such a joy. They are not all the way back, but they are gradually moving in the direction of strength and understanding and away from weakness and confusion. This isn’t a devotional, but a lot of those who come back in a big way, who seem to be deeper and more solid than life, are those who have a strong religious faith. I can’t say for certain about other belief systems, but many strong Christians are indeed made from weak Christians who have been through the fire. They are not strong in their judgement of others. But they are strong in their own ability to live life to the fullest, to be there when others need them, to give timely advice when asked, and their ability cope with big challenges the way waterfowl cope with rain. Their faith is like the current of a deep river that flows into everything they do. This is a wonderful thing to possess, but I can’t imagine that anyone would wish the experiences that lead to this kind of strength on anyone. Perhaps everyone experiences situatioins that could either lift or destroy. The difference is in their response. This has been a very full year for many of us. I am ready to say goodbye to it and move on. But I wish everyone a full year of life and the skill and faith to cope with everything that it brings. Go fly like your kite and find strength in the midst of the storm. Minor revision – A pillar of the Happy Rock Way.